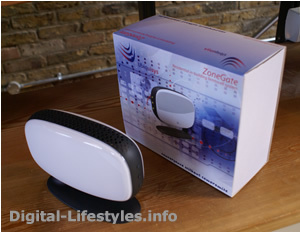 Seeing the ZoneGate by Ubiquisys working at the tail-end of last year, made us realise that we see very little reason that people won’t have one of these at home or at their offices. 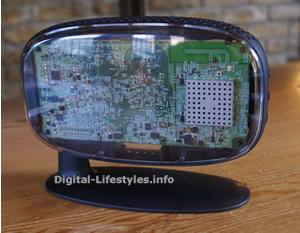 The mobile companies will be encouraging everyone and their dog to get one of these. By effectively pushing the mobile phone tower in to people’s homes, the operators will have fortunes, mostly on the considerable backhaul costs (around 30% of mobile companies operating costs). In the UK and other places around the world, mobile companies spent huge amounts of money on 3G licenses, only to find that the consumer really wasn’t that interested using 3G. Those who did, used it for high speed data access, which because of the high costs of backhauling the data, the operators weren’t that happy with them doing. Without a 3G license it will be illegal to operate Femtocells in the UK – thus companies without licenses won’t be able to offer services. Having a full reception phone while you’re at home, will make the consumer even more dependent on their mobile phone – making it the first point of contact for voice and data browsing. We think that making data free when used at home will build a dependency on using mobile handsets – encouraging it to be the first point of reference. Once the home is left, it will be natural to continue this behaviour when not at the reduced rates. Having an interrupted voice call on a mobile phone must rank as one of the most frustrating experiences in modern life. You sort of half hear the conversation, but the jist is usually completely lost. Providing the highest quality of connection at people’s home will alone be a reason to make a Femtocells popular. As the costs of handling calls will be significantly reduced for the operator, it’s imagined that the cellular operators will be very generous in their bundling of minutes, effectively making calls on your cellular phone from home free – as will data usage. With mobile phone full of your contact details, it’s highly unlikely that the landline will be used. All of the above add up to a pretty convincing argument that Femtocells are here to stay.